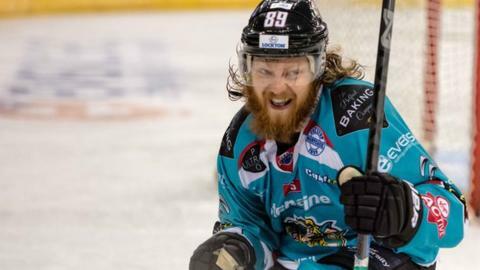 Four Belfast Giants players have been included in the Great Britain squad for next month's Olympic pre-qualification tournament in Cortina, Italy. Three Giants' forwards Jonathan Boxill, Craig Peacock and Colin Shields make the 22-man squad while netminder Stephen Murphy returns after injury. GB take on hosts Italy, Netherlands and Serbia between 11-14 February. The winners will progress to final qualifying for the 2018 Winter Games in PyeongChang in Korea. Seventeen of the squad who won a silver medal at the 2015 World Championship (Division 1B) in Netherlands are named on the roster. While the tournament is taking place, host club Cortina will travel to Belfast to play at the SSE Arena on Friday 12 February and Saturday 13 February. The Serie A side will contest the 'Olympic Series' against the Belfast Giants in the first ever meeting between the teams.